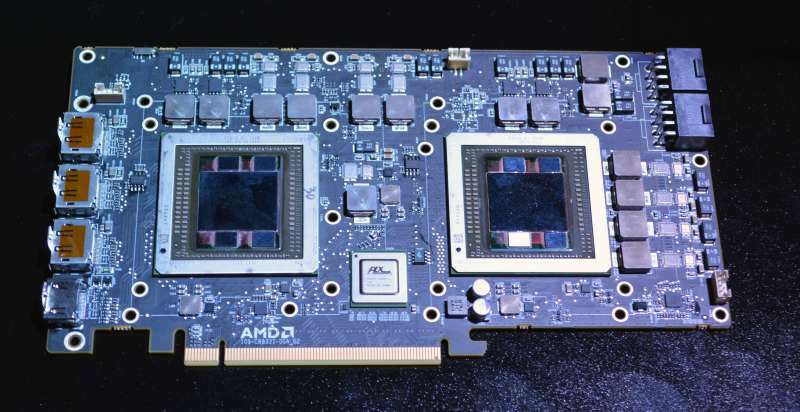 AMD’s dual Fiji graphics card has come up numerous times since it was first unveiled last year at PC Gamer’s E3 PC Gaming Show. However, this is the first confirmation we’ve heard that the card is still in production since we’ve entered into the new year. At this point there is no word on the card’s expected pricing or availability. However, given the fact AMD is expected to launch its Polaris GPU architecture by the 2nd half of 2016, we’d speculate that the dual Fiji card will be out sometime before then, possibly by April.